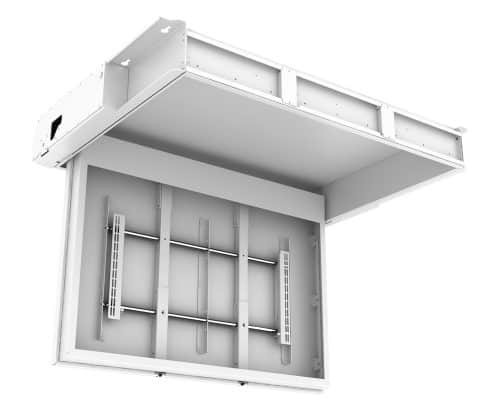 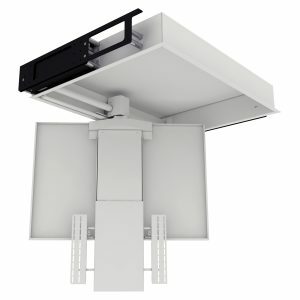 The TV Ceiling Hinge Heavy mechanism allows a large flat screen television to be concealed horizontally within a ceiling and hinged down for viewing. 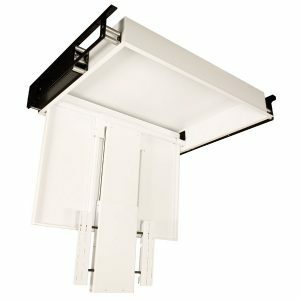 The near silent motor system adds to the effortless and smooth transition from the concealed to viewing position. 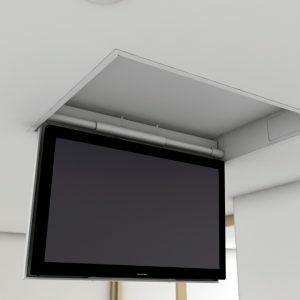 Ideal for when there is limited ceiling void space, the TV Ceiling Hinge Heavy allows large screens to be concealed unobtrusively within relatively small ceiling areas and offers a great space saving option for when floor or wall space is not available. This product is custom designed please call 01277 890 888 for price.